One of the best aspects of a coach’s job is seeing improvement across a range of athletes from season to season. A Winter well invested in following a structured, progressive training plan brings improvements and gains to overall performance in the Spring and Summer months. This is obvious! To begin with, most athletes improve simply by providing structure in their training. Once you have a routine and structure in the amount and type of swim, bike and run training you do, improvement follows. For a while. For performance improvement, in competitive athletes, specificity then becomes very important. To ensure training is specific to the individual, we use regular performance testing or races to identify where the athlete is, and where they have improved to. To make training specific to the event, training is prescribed according to the athlete’s race plan for the season, to ensure they are as well prepared as they can be, with the time available to train and recover in between sessions. Lifestyle factors play a significant part on recovery. 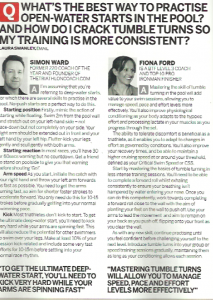 You can find my article about Recovery Optimisation on this link. Improvement is a constantly shifting line and non linear due to the fact that athletes are human and not machines, in my experience. Lifestyle factors and individual differences influence performance improvement so if you are looking to improve season to season, you have to start with where you are at any point in time and work onwards and upwards from there. 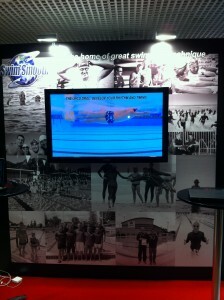 An athlete centric approach ensures you keep looking forward, with aspiration and purpose to your training and racing. Putting the athlete at the centre of planning training avoids the highs and lows of a top down approach and is great for motivation, year round. So that brings the question of how improvement is observed, measured, reviewed and discussed for future planning. One of the most important jobs as a coach is simply to quantify progress for the athlete. Coaching feedback helps motivation to high levels, which in nearly all cases enables the athlete train on with a more targeted focus. Personalised, targeted training (athlete centric) influences every session to be of high quality and with purpose. I’ve found individual feedback to be one of the most significant factor in performance improvement, in all athletes I work with. Many athletes who self coach are often quite keen to race the same events each season, to measure improvement. However, a year is a long time to wait, to gain feedback. It’s too late to adjust your training for the season or subsequent events, if the training plan hasn’t been as effective as maybe it could have been, with a few tweaks here and there towards your goals! Developing sensitivity about your response to sessions, how you perform the sets and reviewing your data periodically is a useful way to make adjustments or fine tune your planned sessions in order to see improvement over time. The feedback and review of information to hand (data) should always inform the training content and future progression. An athlete’s ongoing capabilities to sustain a higher average speed, power or pace in endurance sessions. 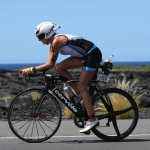 This might seem obvious to some, that triathlon is an endurance event from 2 to 12 hours, for the majority of competitors over Standard distance or Ironman triathlon. 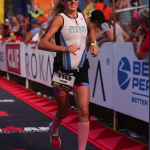 Sustainable speed training provides specificity to the event and builds muscular and aerobic (cardio) endurance, the energy system required and resilience to injury by being functionally strong in all 3 sports ie swim, bike and run. Use a metric to maintain (power or HR) as the constant. Training levels (power) or zones (HR) or CSS should be set from a field or lab test. A field test is repeatable, more specific to racing, provides valuable preparation practice and often excellent pace judgement opportunities too. If this is an area needing work on! 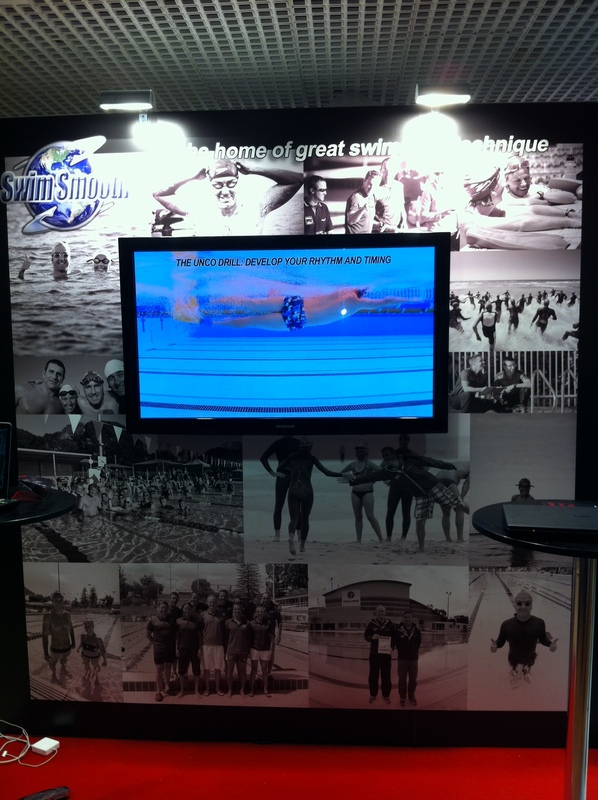 Observe a number of endurance runs, rides or swims over a period of 3 months. Note average speed and/ or distance covered over the duration of the sessions. Preferably conduct this as part of session feedback in real time, as you check, review and/ or upload your files. Notice the route distance and time taken to ride or run it. This is probably recorded by the technology you are training with, along with the HR and/ or power data. Assuming your training is effective, there will be an improving trend in the data or distance over duration, in stamina, endurance, economy and efficiency over a number of weeks. It’s useful to compare similar sessions 8-12 weeks apart to highlight gains. As an endurance athlete there is no immediate requirement to adjust your training intensities week to week, based on one superlative session. Consolidated adaptation is a longer process than you might think or feel. It is easy to mistakenly over perform one week, only to then feel like you are playing catch up the next. Lifestyle factors play a huge part in recovery. In the example below we can see typically over an hour+ endurance run, an athlete training at the correct (aerobic endurance) intensity using HR or power could improve average pace per km of 20 seconds. This is a common scenario, one one discipline of triathlon training (the run). Over 10km or further, at race pace, significant performance improvements follow by improving efficiency and economy of the athlete. 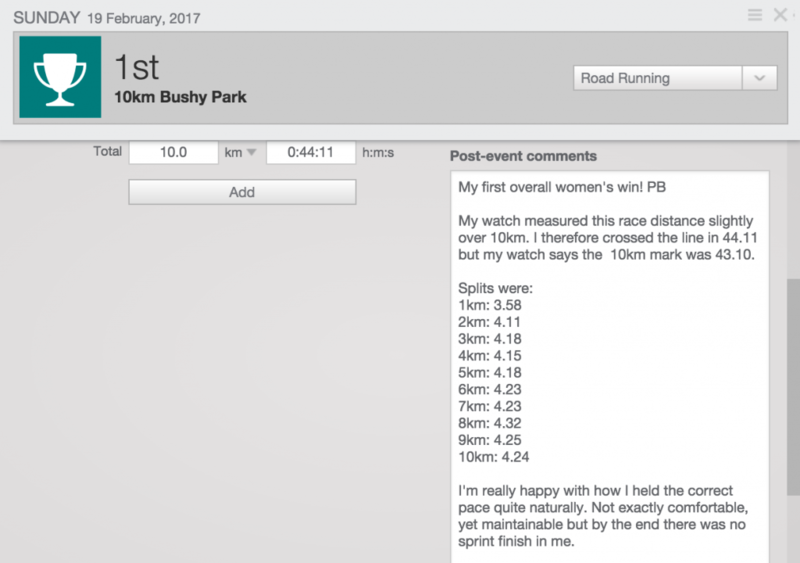 This athlete has set 5km, 10km and half marathon PB’s so far this Spring. On 2-3 run, bike and swim sessions per week ~7-10 hours total. Training for half IM distances this Summer. As an endurance coach, improvement is one of the performance markers or metrics I analyse and review regularly for feedback from and to the athlete. Being able to sustain as close to physiological threshold pace as possible is the difference between a great performance and an average one. Learning how to pace, review, practice and improve the quality of training is greatly facilitated by this feedback loop. It is easy to see improvement, once you know what to look for. Training Peaks and use of technology such as Garmin Connect, make the process very straight forward for review and analysis, which leads to greater insight and creativity in planning training for each individual athlete at their personal rate of improvement. 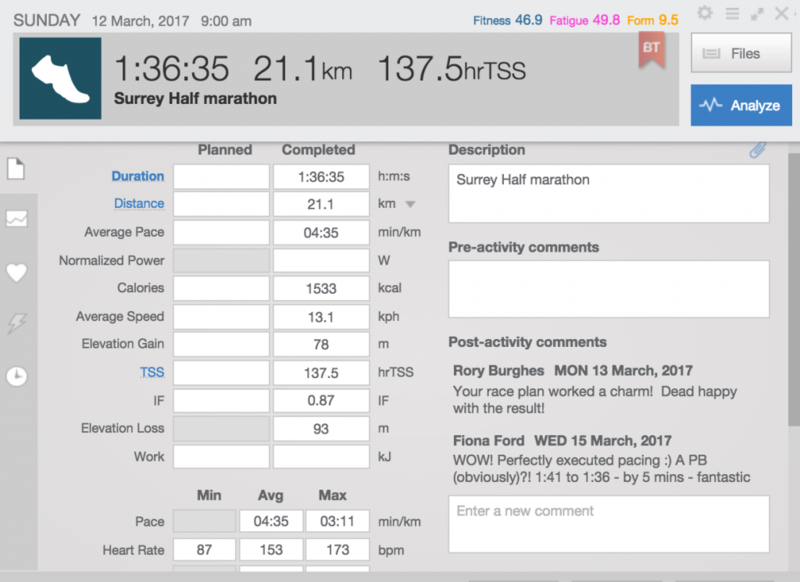 File examples above are all real examples, from real triathletes, racing in real time (current season) coached by F2 Performance Coaching. After a serious car vs bike crash in 2012 I have spent the best part of the last 4 years working through comprehensive physiotherapy to regain mobility, including learning to walk again. 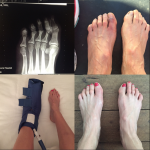 I was told by the doctors in the days after the crash that my ‘marathon and running days were over’. My book ‘Back on Track’ published last October outlines my personal recovery process over 3 years, from serious, multiple injuries. I incorporated advice from experts and athletes as well as effective recovery strategies for those who are not quite ready to give up on their sport or active lifestyle. Up until last Summer I had no plans to return to the sport of triathlon as a competitor. I was so grateful for the improvement back to an active, independent life and was highly motivated to continue progressing my functional strength program, a natural progression from all the physiotherapy. I created a pre-training routine that involved swimming, cycling and running and this led me back to a triathlon start line last Summer 2015. 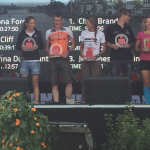 I led from gun to tape at Windsor Triathlon in a time of sub 2 .5 hours. Using the same athlete centric approach I implement with my coached athletes, I made plans to return to being competitive in the 2016 triathlon season. 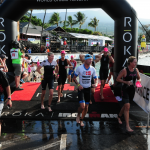 However with rest from land running and adopting strategies from my recovery process, like pool running and cross training, I was on the plane to Kona to acclimatise 10 days before the race. The race takes place in one of the most geographically contrasting parts of the planet. The 2.4 mile swim in warm, clear, aquarium like Pacific waters, 112 mile cycle through extreme heat, humidity and gusting crosswinds up to 60kph as well the infamous headwinds, finishing with a gruelling 26.2 mile marathon on hot tarmac with a few hill climbs to seal the deal. 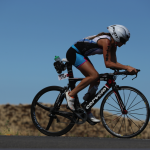 This event defined triathlon in the 1970’s and has decades of rich history, in qualifying as an athlete you are very privileged indeed to pitch your ability to suffer, stamina, strategy and fitness against the conditions and famous course. My race could not have gone any better. 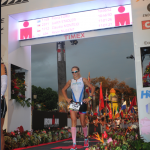 My swim of just over 1 hour had me out on the bike at the front of the women’s age group race. Approximately 25% of all the rehab/ training time I have completed in the past 4 years has been in the water and this is now a great strength with which to begin any race as it puts you a long way up the road on your competition, or even among the Pros as my previous races demonstrated. The 100m+ mile cycle was hot, windy and enduring. It’s important to stick to your feeding and hydration scheduling, ensuring you are taking on carbohydrates, fluids and electrolytes at regular intervals. The aid stations in the middle of the hot, stark lava fields every 10 miles are such a welcome and contrast in sights and sounds. As you approach at a slightly reduced speed on the bike the volunteers call out what they are holding out for you to grab. By killing a bit of speed on the bike, being clear about what you want and ensuring other riders aren’t trying to cut in between you and your aiders, it makes for an exciting ‘grab’ challenge to juggle your needs. I thanked every one who passed me something. The ratio of volunteers to athletes at the World Championships is 2:1, so there is ample support all through the day. You are looked after like a VIP all day long, and never feel alone for very long. 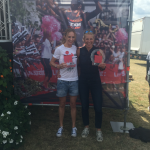 It is a really unique experience from that perspective if you have raced a number of Ironman events. Coming into transition after the bike was a great relief, to get the last part of the race executed. The small matter of the marathon… I walked out of the change tent for ~ 100m before breaking into a slow run approaching the shorter first (famous) ascent of Palani hill. Once this ascent was dealt with a second time, the toughest 15 miles of the marathon unfolded along the Queen K highway and into/ out of the Natural Energy lab and back again. 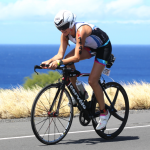 I felt strong on the latter stages of the run, confident I had fuelled well on the bike providing energy at this critical stage of the race when athletes start to slow down. 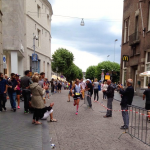 I was passing people at an impressive rate and getting encouragement from many supporters as well as athletes I passed. It was a massive relief the big toe injury held up ok, didn’t really slow me down very much. I ran a 3:38 marathon! 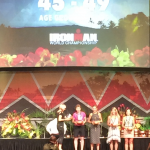 Finishing on the podium at the Ironman World Championships seems an extraordinary achievement from the start point 4 years ago. 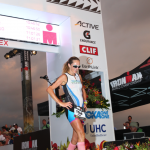 I would not have believed anyone if they had told me I would be back out racing in Kona, 9 years after qualifying in my first season racing Ironman, 2007. I produced a stronger and faster performance in 2016 than in 2007 as a 37 year old, by a few minutes! The power of the human body to recover from injury and damage, whether it be life changing, chronic or sudden is amazing. It just needs the right conditions, some determination, patience, a progressive approach and time for each stage of adaptation to be fully consolidated before asking for more. It’s a conversation with your body each and every day, beyond simply listening, engagement is required. It’s a simple equation. Fitness = stress + recovery. Pay too much attention to one side of the equation and you’ll come up with question marks as to why you are not improving or feeling faster, stronger, fitter as an endurance or multisport athlete. Recovery is as, or more important that the quality, type, frequency and duration of the training you undertake each week. Our quality of training is governed by our recovery ability between sessions, within training phases and at the end of a triathlon season. On a daily level we need recovery between sessions if we expect to train on into high quality sessions and sustain consistency. Consistency is the single biggest factor in progression and performance improvement. Getting injured or ill as an athlete effectively puts you into a holding pattern or slow decline in fitness, until recovery is complete. By fully understanding your individual recovery limiters and optimising factors you can influence, you can aim to stay on the recovered side of the progressive training line, ultimately continuing to improve by executing your quality sessions at prescribed intensities and maintain stamina and mental focus on your endurance sessions. Rest days – 24-48 hours of training rest. Use the time to organise your training logistics, arrange a sports massage, have equipment repairs or maintenance done, organise your nutrition for the week, make meals or energy snacks in advance, research event courses and enjoy keeping some balance in your social and family life. As a coach we give you full permission NOT to feel guilty having a day or two without swimming, cycling or running! A lower intensity or technique focused session can be used effectively within a training week and cycle, to allow for adaptation while retaining movement patterning and neurological recruitment if the following session demands it. Often useful as a precursor to sprint, high intensity / short duration interval and technical hill type training. Recovery weeks – 5-7 days within a training phase (3-6 weeks) to allow for compensation and consolidation, particularly if there is a significant ‘upping’ a level in the next training phase. If the athlete sticks to the progression and hasn’t over reached in the previous weeks of building or maintaining a solid level of training stress, this is usually a very welcome week indeed. Also a good opportunity to recover and be all full strength prior to performance testing, allowing the athlete to tick over on a lower intensity regime before a significant set of sessions designed to measure progress, are given. Extremely helpful for female athletes to time with their monthly hormonal cycle when they recognise achieving high quality training may be unrealistic for certain days or a week each month. The athlete’s training phases can be easily designed around this to allow training quality to be maximised. Elevate legs above the heart – legs up a wall or tree are effective ways to send blood flow back to the body for processing. Also great to do after high intensity sessions. 5-10 minutes in the eve before you sleep is highly effective. Iced bath 8-12 minutes. Allows legs to feel light, reduces inflammation, DOMS and pain. Easy to do if in a hotel. Immerse up to hips so legs are submerged, wear a warm top to retain core temperature and take a cup of tea, a friend, something to read to pass the time! The hardest part is the first 10-20 seconds. Once you are in, you will become used to it pretty quickly. Move legs about a little after 3-5 mins. Alternatively stand up to your thighs or hips in cold water, in the sea or water’s edge if an option post race for 10-20 minutes. Mobilise gently by moving about. Ensure your protein and carb intake straight after your event is of high quality to allow the body to absorb nutrients that help recovery processes at a cellular level more readily. The 30 minute window after your event is a crucial time to refuel and hydrate. A 20-30 minute walk is effective to lightly mobilise tight muscles and a stiff body, promoting circulation and recovery. 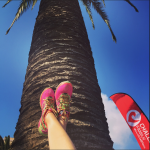 If you do feel like stretching yourself out, 10-20 minutes after your walk is advisable, rather than on a non-warmed up body. Light training for up to an hour, prioritising sessions that allow you to ‘check in’ with how your muscles and energy systems are operating such as Yoga, Pilates, stretching, S&C, aqua running, walking or spinning on the bike, on the small chain ring/ super easy. Have a sports massage and allow a light moving of the soft tissue, muscles and attachments to enhance the body’s circulation and movement of toxins to speed along the cellular repair process. Continue a focus on high quality, high nutrient value foods. 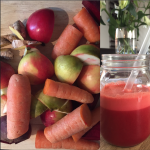 Include fresh juices such as beetroot and carrot with citrus fruit or apples and fresh ginger and / or turmeric. 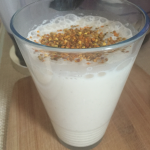 This will provide a super charged boost of nutrients in your daily food intake. Take in good sources of protein 2-3 x per day for muscular repair, with non processed carbohydrates such as sweet potato and root vegetables for high nutrient value. IT will take up to 48 hours for your body to fully replenish glycogen in the liver after a high intensity or long duration workout, which explains why you feel shattered! Ultimately we want to achieve the most effective line of improvement and progress for each individual, and avoid the ‘smash and burn’ effect. This is where being chronically under-recovered, injured, ill delivers low quality training and adaptation. Usually follows with a situation of the athlete feeling pressure to catch up and stack all the missed training together in a compact time window, predictably creating the same overload factors again. 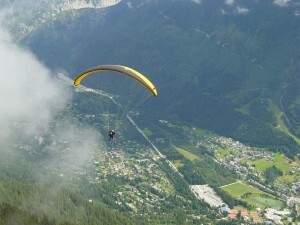 Swinging from one extreme to another is a massive limiter on progress. Staying within the planned progression, maximising recovery and making good use of your rest days are learnings we can take from pro athletes. Smart athletes know their recovery and rest is in many ways more important than the training, where you allow the body and energy systems to adapt and become stronger, fitter and faster for endurance and multi sport events. Being on top of your recovery will also do you a massive favour leading into races to have the confidence that your body and engine will respond to the demands of the event. You’ll be in a position to ‘lift your game’ and leverage reserves of performance you may not have achieved before. This = PB’s and performance improvement, ongoing both within the season and from year to year as you continue finding speed, strength and endurance. Enjoy resting and try out some new recovery protocols. See what works well for you. Recovery is as important as your training sessions to allow you to rebuild, get stronger from the training effect and replenish your glycogen stores, which leads to speed endurance gains. Autumn months are a great opportunity to learn or improving skills that add benefit to the athlete’s usual training and competitive performance. Off season training should be varied, improve technical aspects, develop strength and optimise movement patterns. Sustaining peak performance during the season relies significantly on athletes having a well timed end of season break to allow repair and regeneration that is compromised with busy working, training and competitive lifestyles. Experienced and novice athletes alike benefit greatly from developing their pool based skills, rather than returning to the same routine. When multisport athletes dedicate some time to focus on a single sport (in this case, swimming) it is a great investment to bring about proportionate gains to carry through the Winter months whilst maintaining their performance strengths (eg: bike and run). 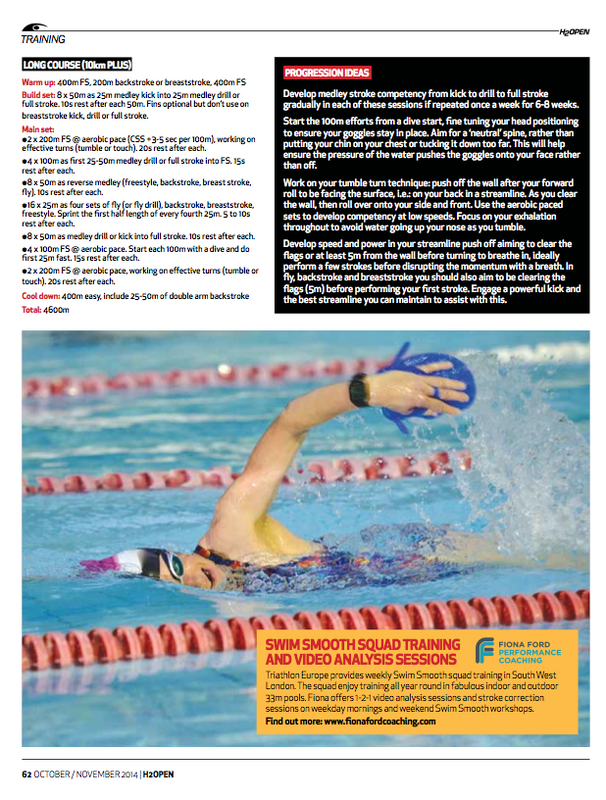 In this month’s training article –Train Now written for H20pen magazine, I provide a range of sessions to work with and the benefits of pool based skill development as a training focus. See below or the linked article above. Our squad focus for the next 4-6 weeks will be working through the technical mastery and improvement of individual medley strokes and tumble turns, the latter being the most requested skill each year by our swimmers! Autumn is the perfect time of year to change things up in your training, a well recognised strategy providing a contrast from your structured training during the year or resuming from an end of season break. Learning new skills or strokes adds competency in your swimming and functional strength to your freestyle. I receive requests from swimmers year-round about mastering tumble turns, perfecting a dive start and understanding individual medley, and this is often echoed by readers of 220Triathlon magazine with questions featured in the TriClinic that I respond to each month. Incorporating a short, focused training block to work on your pool-based skills brings about performance and technical gains. With the changing of the seasons and a transient squad with triathletes resuming training after a break, it’s an ideal time for developing technical capability, improving confidence in new skill acquisition and fine tuning existing technique, such as learning to tumble turn by pushing off the wall on your back. 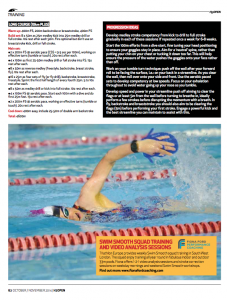 The image accompanying this 220Triathlon magazine Q&A showed a common scenario of the self taught athlete pushing off the wall after a tumble turn, almost sideways! To avoid twisting during the turn and ending up pushing off the wall, getting water in your airways, ending up in the next door swim lane, tangled in the lane rope or finding yourself too close or too far from the wall, follow the steps below. Utilise a staged approach and give yourself time to develop competency at each stage. It doesn’t take long, just high quality, focused skill acquisition time. Keep applying the skills until you get it right, always end the set or session on a good note. 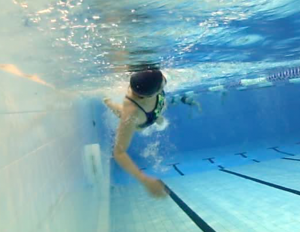 2) land the forward roll in front of the wall, identifying the correct distance from the ‘T’ using a freestyle start – your toes must be pointing up and push off on your back facing the water surface! 3) incorporate the tumble turn into your training sets at aerobic pace, mastering the flip over onto your front as you push off the wall. Over time you will become conditioned to the effects of becoming hypoxic after turns and hardly notice even when swimming at CSS pace or practicing race efforts! Practice makes permanent, not perfect! 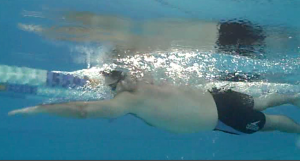 Getting the ‘catch’ part of the freestyle stroke right for many swimmers, is counter intuitive in many ways; how it feels, the visual appearance and even the amount of feedback from the water. The most effective catch viewed underwater looks deceptively simple, however takes hours of progressive pool time and perfect practice! This week our squad sessions focus on developing or just refining this important area of the stroke. By focusing on what is going on underwater and an athlete centred approach we look at ‘coaching the swimmer not the stroke’. After all there are 6 key Swim Types and the priority is understanding how you will propel yourself more efficiently and smoothly and this equals greater speed! 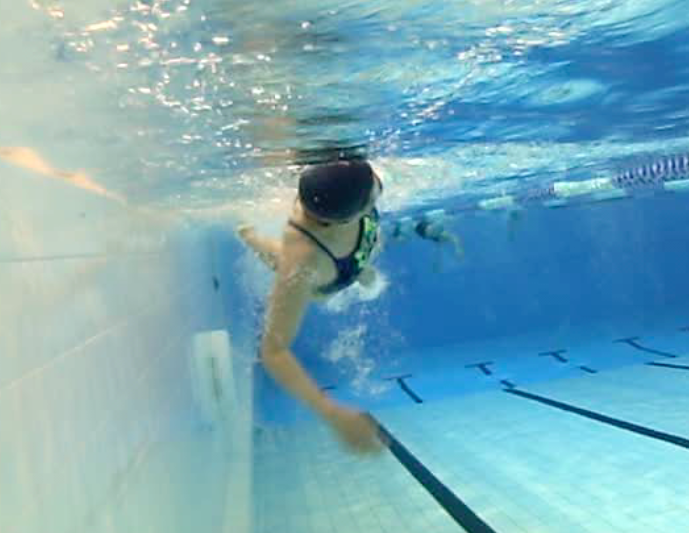 Aiming to catch the water ‘harder’ will encourage most swimmers to press down on the water, with more of a straight arm, as this feels like a strong ‘catch’. However a good catch is a lot more subtle and is about working with the water, spearing the hand in at an angle ensuring the fingertips point forward and then down. Once the hand is in this position the forearm becomes involved, the elbow is bent and the hand tracks underneath the centreline of the body finishing past the hips. The combination of hand and forearm movement moving water behind you is essential for an effective catch and this will NOT feel like you are muscling the water or pushing strongly, if you get it right! Somewhat counter intuitive? Trying to swim by ‘gliding on your side’ is quite possibly the worst thing you can do for your catch. You will end up ‘stopping the traffic’ with your palm and hand facing towards the oncoming water. That’s a lot of resistance! Instead, imagine a kayaker and aim to replicate this perpetual motion in your swimming. It’s important to maintain a good rhythm in your stroke and tipping the fingertips over as the hand enters the water once you have reached your full rotational range, initiates the catch nicely and allows you to get on with the job at hand. Pun intended – that is, propulsion! This week’s squad sessions are all about mastering this very catchy phase of the stroke. Get it right and it won’t feel like you’re moving mountains, but you will be slipping through the water subtly and swiftly with little effort and experiencing few, if any niggles! Quality is all about doing it right when no one is looking (Henry Ford). Must be related…. 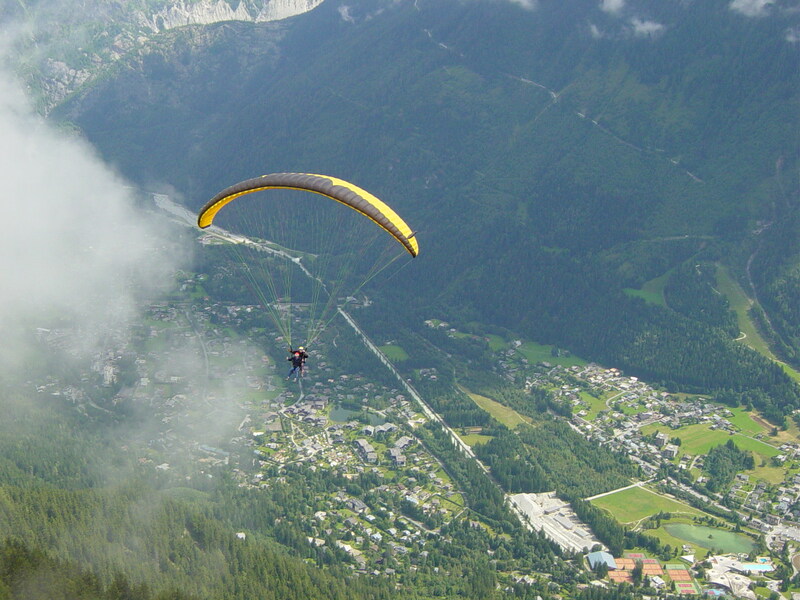 Glide if you fly a hang-glider, or swing off the bottom of a paraglider… You need to be more dynamic and propel yourself through water, if you swim! This week’s squad focus has been refining stroke timing, and we dedicate a short segment after the warm up to practice specific drills. 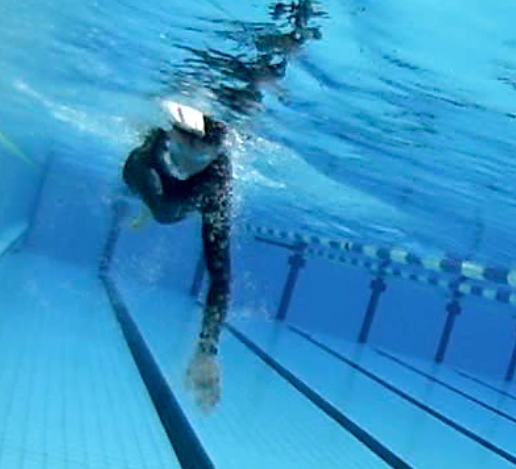 In each lane every swimmer tunes into a particular aspect, after the objective has been described. For some, it’s tipping those fingertips over a little earlier to achieve a more effective catch and eliminate a slight pause at the beginning of the stroke (Overgliding). This week’s SwimSmooth blog provides some convincing data and evidence around the idea of developing a ‘glide’ at the front of the stroke and the negative impact this has on swim efficiency. Check out this week’s hot topic Overgliding, Inefficiency and the Overgliderometer! For others, it’s thinking about the breathing timing cycle and ensuring that all the exhalation occurs whilst the head is facing straight down in the water, and tuning up the timing of the stroke to ensure there isn’t an overly long pause on the turn to breathe. Many swimmers are unaware they are actually exhaling forcefully as their head is turned BEFORE they take their breath in (often holding their breath too!) 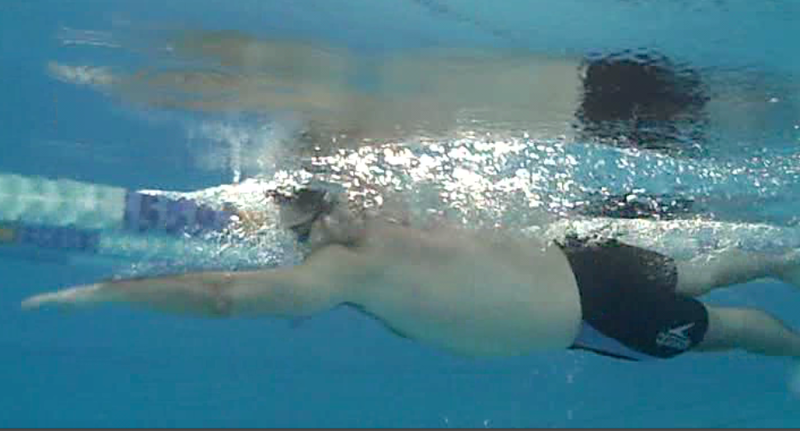 creating a disjointed timing in the stroke. The knock on effects are often a sinking, straight-pull leading arm, instead of finding a nice catch on the water with a bent elbow pulling through under the body. Often the body and legs sink too, or do a bit of ‘squid leg’ kicking to overcome the pause at the front of the stroke (Bambinos, Arnies). So our build set consisted of some single arm drilling to focus on the head timing and minimalistic breathing disruption, developing to the ‘unco’ drill to refine the arm cycle timing. This had a good effect on our Overgliders and Swingers, allowing a focused time to practice an even stroke cycle eliminating any ‘dead spot’ at the front of the stroke and developing great rotation from the hips. Fins are a must! Enjoy tuning up your stroke timing and think about propulsion until next week….